"Vesica Pisces- Pastel Ocean Sunrise"
This month, I've had some of my artwork on display at a local art gallery. It is part of the Grand Theatre in Williamstown, NJ. The exhibit theme is "Symmetry" & the exhibit has been extended until January, 2018. I have plenty of abstract art that fits this theme, so I picked out some of my favorites to make prints & frame. I came across this awesome app called Moonshadow that lets you add all kinds of combinations of psychedelic effects to photos or video. After taking some video of my head & adding some colorful waveforms, I turned it into a looping animated GIF on GIPHY. Outside my back door, I saw these 2 big praying mantises (male & female?) crawling up the siding. The slats of siding are about 5 inches, so it was around that long. After I got up close to take photos, one of them flew right by my face, & that was the end of the photo session! I had been having run-ins with these interesting insects for a few weeks, but these are the only photos good enough to post to my nature album. Last night my brother had dinner & movie night at his house. Some of my family watched the Marvel Studios epic, "Infinity War". It has already been out for awhile, so I've already seen a lot of the hype & memes that this movie has generated. Since the "Infinity Gauntlet" was one of my favorite comic book series as a kid, this film had a lot to live up to, especially considering how critical I am when it comes to movies. 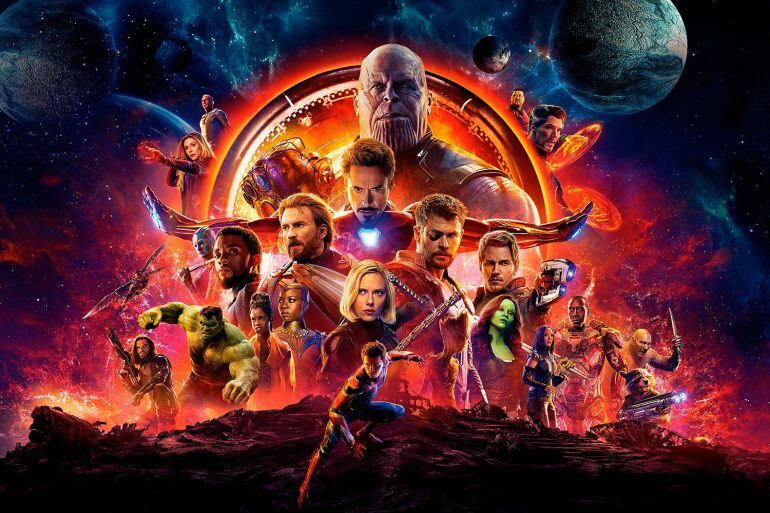 The feat Marvel pulled off is pretty amazing- having many character-based superhero movies thread together & culminate in a blockbuster that ties them all together. DC tried to rush through a similar approach, but did it in a hurried manner that had nowhere near the depth that has been developed in the Marvel Universe. Some of the casting for the superhero roles is phenomenal: Robert Downey Jr. as Tony Stark, aka. Iron Man, might be the most perfect casting ever. Also, Chris Hemsworth as Thor, Chris Evans as Capt. America, Benedict Cumberpatch as Dr. Strange, etc. are all great choices of actors. Josh Brolin's CGI-assisted portrayal of the villain Thanos was good enough to make me forget that I was watching a motion-capture animation. Speaking of Thanos, I think he was portrayed pretty well. My biggest complaints are superficial and more fundamental to the story. First of all, I hate the bald-headed, helmet-less Thanos. They should have saved that for the end, when he becomes a farmer or recluse or whatever, like in the comic. The armored Thanos is so much more awesome looking, I can't believe they changed his look for this movie. Especially when they had the armor in his previous cameos in the previous movies. Second of all, I didn't like how they omitted Thanos's obsession with Death, whose female manifestation is a grim reaper-like skull in a robe. The unhealthy desire Thanos had for Death and his effort to please her were the driving force for his mission to kill off 1/2 of the sentient life in the universe. The fact that this element was left out of the story is crazy to me, it defines everything about the comic book character, including the name "Thanos," from the Greek personification of death, Thanatos. You know what, there's a 3rd big criticism I have... and it's that they made the supposed "Mad Titan" into too much of a sympathetic character. He was pretty brutal in the movie at times, but he didn't have the same level of madness and aura of unhinged cosmic terror as the comic version of the character. I think the special effects and visuals were awesome. Marvel has really developed the sense of a multiverse of worlds & locations, as well as a convincing yet amazing portrayal of the powers these beings wield. The Infinity Stones housed within Thanos gauntlet allow him to control all aspects of the universe- Reality, Time, Space, Power, Mind, and Soul. The problem I had with this plot device, even in the comic book version, is that it basically makes the user an omnipotent being who should not fall for the tricks or make the mistakes that Thanos does. It's almost impossible to write any kind of plausible scenarios for this kind of god-like power, but hey, it's just a fun fictional idea I guess. I get way too nitpicky about this stuff! Anyway, despite my few criticisms, I think Infinity War and the entire arc of Marvel movies was done extremely well. It was a fun, exciting movie to watch, and to see all these iconic characters come together in ways that made sense and were integral to the story was impressive. I'd definitely recommend it, especially to any superhero or comic book fans. I have a large archive of abstract imagery to share online, and also create prints for exhibits & sale. This is one of my pieces of digital abstract art. 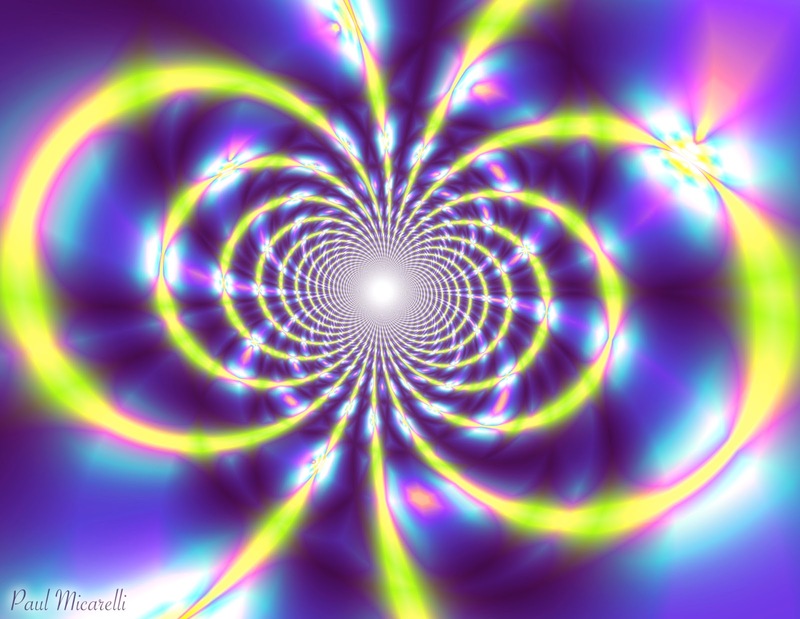 As mind dissolves at the moment of death, consciousness takes a final leap into the fractal infinite, merging with the Clear Light. I have an Instagram page for my Fantasy Photos business, and the endless feed of imagery doesn't allow much time for absorption. It's just a constant stream of visual content that the user just tends to scroll through, occasionally hitting the "Like" button. However, I recently stopped to look at the infographic above. 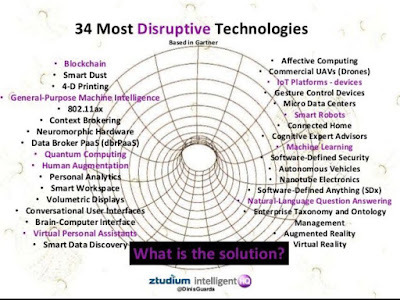 It highlights some of the "disruptive" emerging tech that has the potential to drastically re-shape society and our individual lives. It's really interesting to see these various areas of research and development that are emerging simultaneously. I have touched on some of these topics in this blog over the years, including quantum computers, human augmentation, virtual reality, and brain-computer interface with my Apple iThink concept, which is now 10 years old and still nowhere near being fully realized. I love science & tech, but I honestly don't even know what a few of these mean! Individually and in combination, there are some really mind-boggling concepts here, and we have no idea how it will affect us as they come to fruition.